Fishing for catfish isn’t everyone’s cup of tea. I guess they are a bit like Marmite, you love them or hate them! 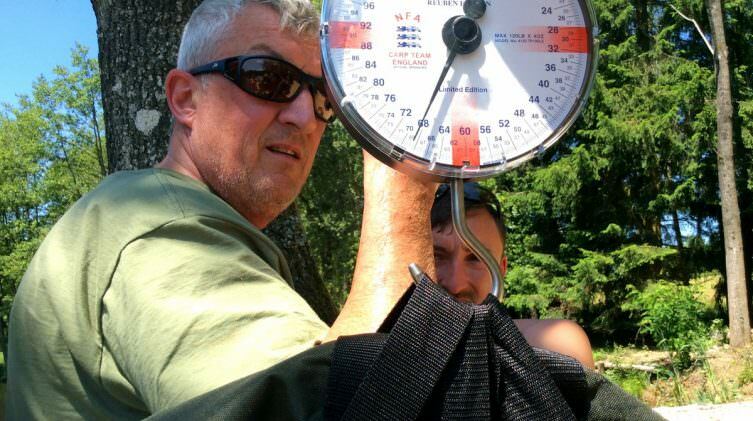 Within most groups of anglers I meet, opinion is divided. 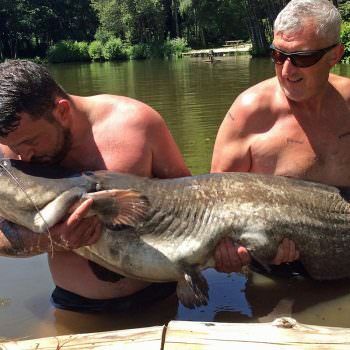 Now, I know some of you would prefer not to catch catfish at all when you come over for your fishing holidays. If this is the case and you go to a venue that has both carp and cats, my suggestion is to go when the catfish activity is very low or nonexistent. Generally this would include April and most of October. On the other hand, July is generally a very good month for catfish fishing and when temperatures stay around 25-30 degrees for week after week, the catfish are really active. 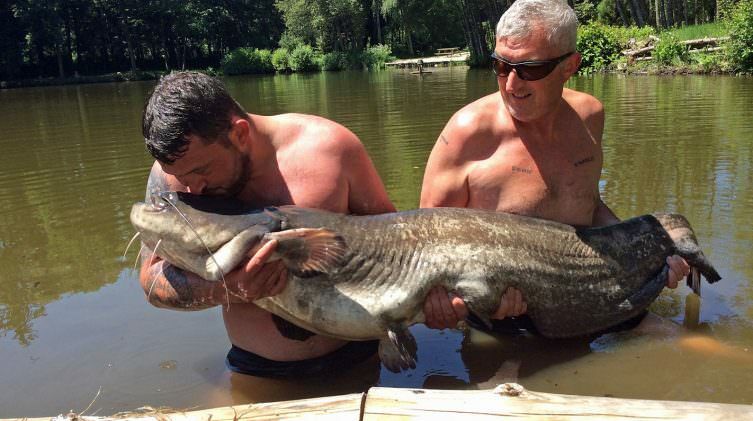 For those anglers that do want to catch the big catfish, then July is certainly a great month to visit. 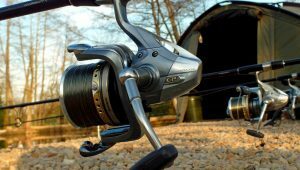 What this means is that, at that time of year, the catfish will target your carp traps and it’s very important that your rigs and gear are up to the job. I may touch a few nerves here but bear with me, my aim is to reflect what I see, week in week out and help you guys put more of what you want to catch on the bank, so here goes. Cat fishing is not complicated. Neither is carp fishing before I’m accused of bias! It is only us the anglers that make it so. 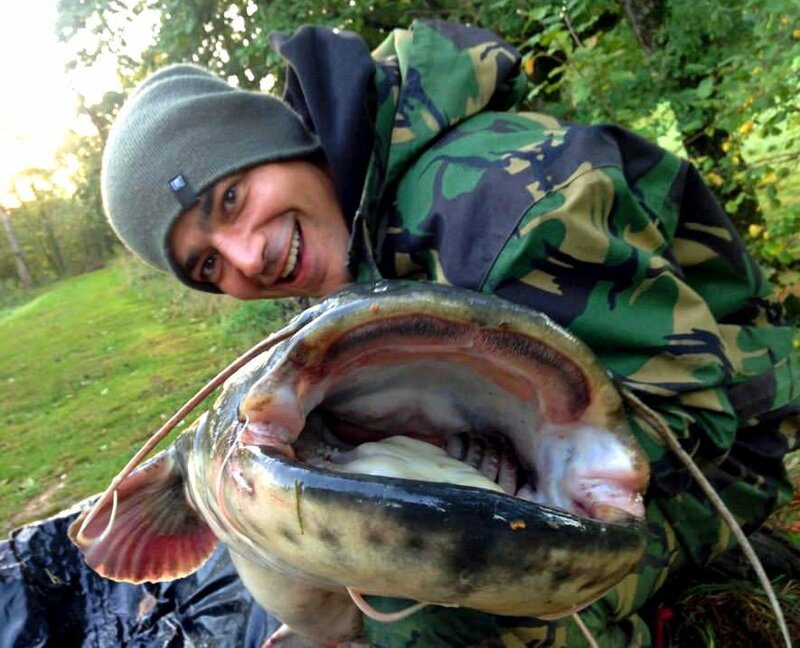 I’ve witnessed a number of specialist catfish anglers struggle at Beausoleil which is crazy when you consider there are over twenty catfish between 50 and 105lbs in the lake! There have been exceptions and if you read through my blogs you’ll have read some of our success stories. As is typical within any sport, we can get funny about others that practice it slightly differently. For example, die hard carpers can be heard disrespectfully referring to catfish as slugs, conversely die hard catfish anglers disrespectfully refer to carp as mud pigs! What has all this nonsense got to do with the simple act of fishing? Nothing! (in my book). 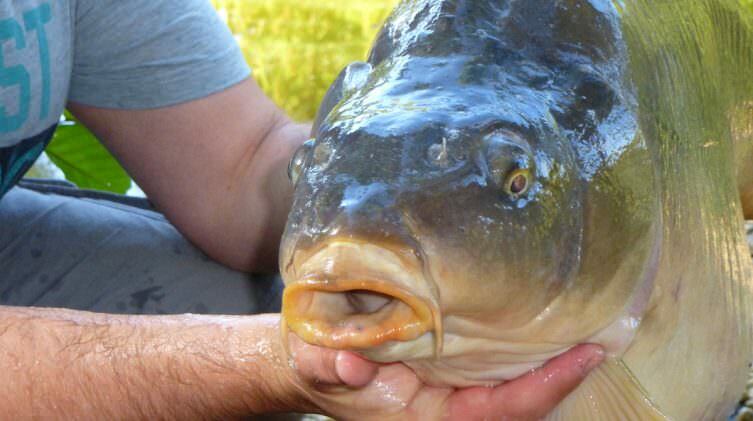 Be they carp or catfish: KISS (keep it simple, stupid) is my mantra. 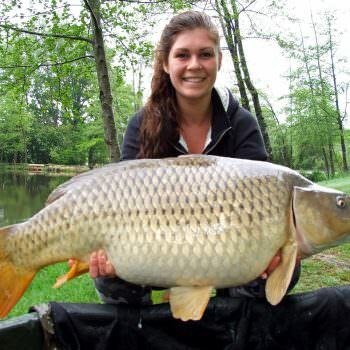 Carp & catfish like boilies and pellets (in a managed environment, these items are treated as a natural food source and one they are quick to take advantage of). Catfish are larger, have a larger appetite and tend to wolf their food quickly (just like dogs). 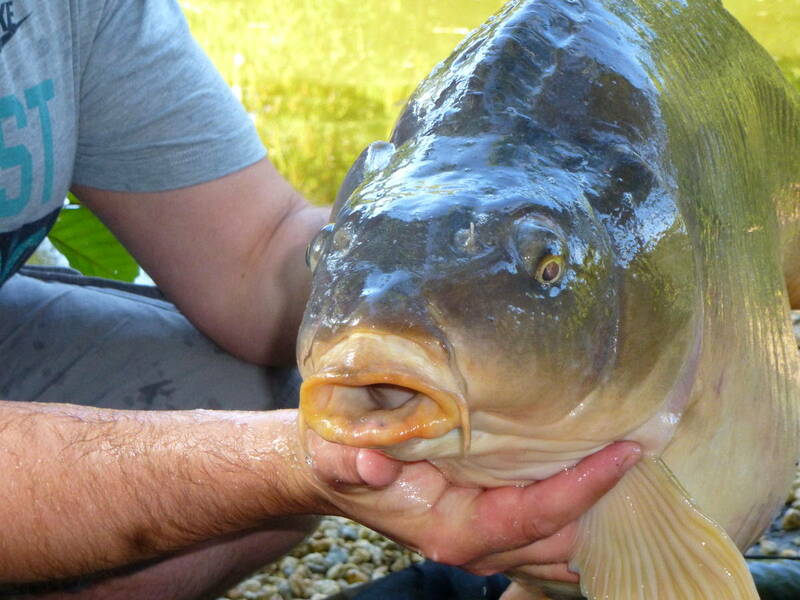 Carp are more selective and fussy, they will pick at their food, wander off and wander back for more (just like cats). 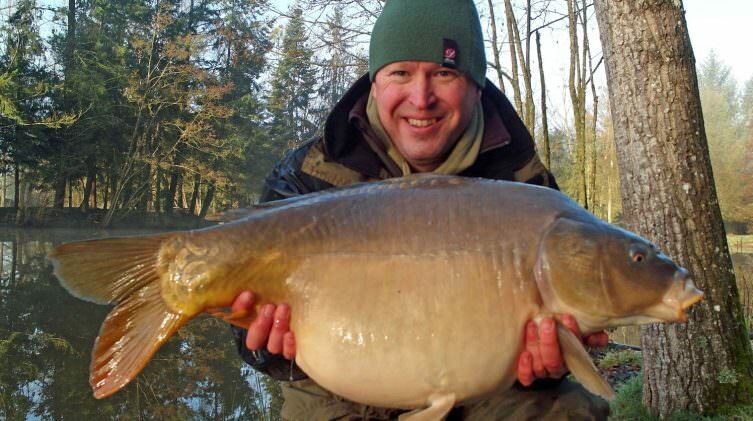 So, how do you select one from the other when fishing at a lake with both species like Beausoleil? In short, you can’t. Well not entirely, but you can tip the odds in your favour… Here’s how. ► Try to use very large boilies over a bed of smaller ones (my mates and I have used hand rolled baits up to 50mm diameter). I will make these for you to order if that’s of interest. 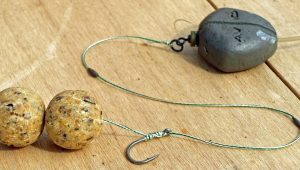 Or use multiple smaller baits (2 x 22mm proves to be devastating for catfish as well as carp). ► Use large quantities of bait. 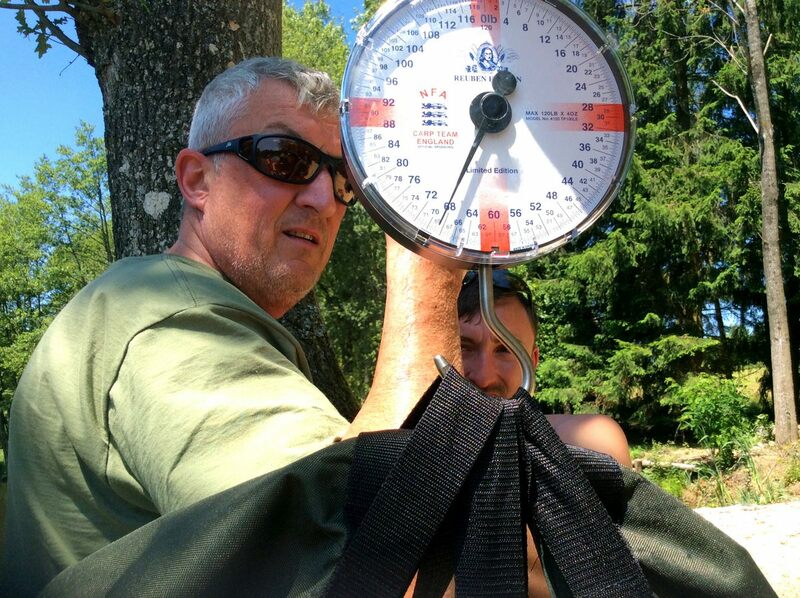 I’ve seen the look on people’s faces when I talk about rowing out 10kg of pellet and 2kg of boilies for 1 spot for one rod for 1 night (I know that they think I’m mad). 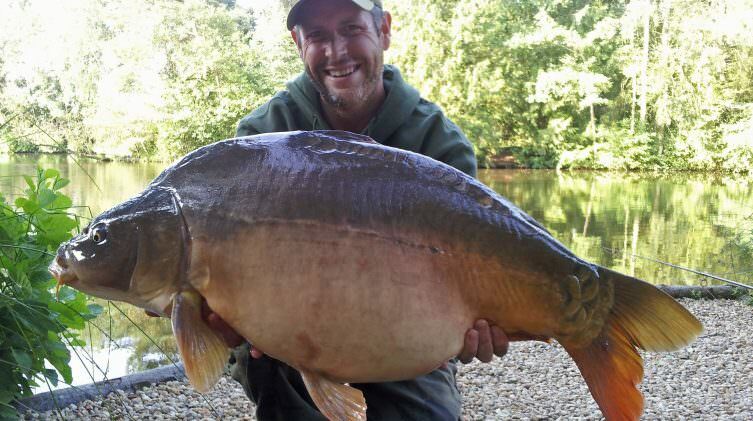 But the proof is there the next day when I’ve had 3 large catfish off it! ► Fish open water and the margins. 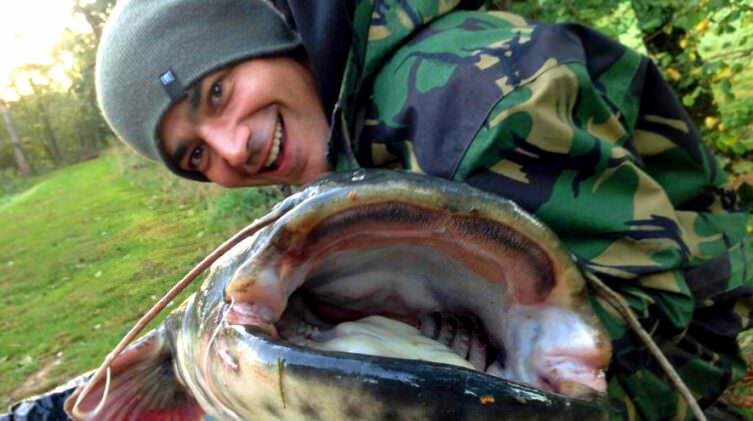 Catfish are like carp, sometimes they come from open water, sometimes they don’t. Mix it up and let them have it! 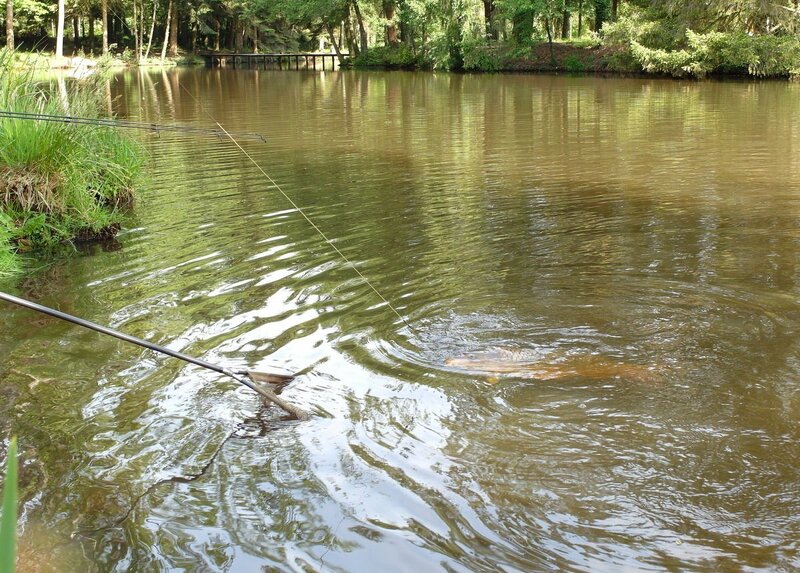 Check out this other post for more tips and recommendations on how to catch catfish in lakes. 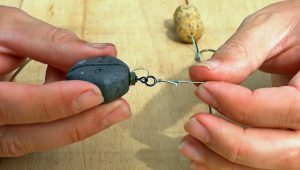 ► Use the standard 20-22mm baits (I always fish 2 x 22mm) over a much small quantity of bait (just a handful or a dozen baits spread over a few square meters). 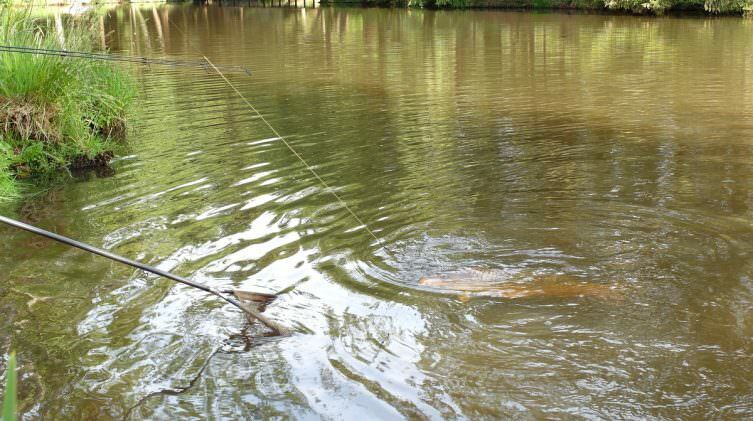 ► Stick to the margins when the catfish are active and move the traps around to any signs you see. ► If you can, create a catfish distraction using a large bed of pellet (yes I’m still talking about 5-10 kg) and then fish well away from it! 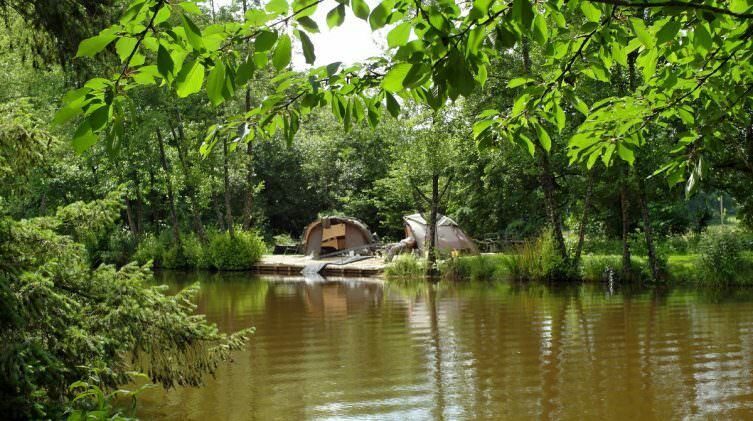 When I came over to France and started to fish at Beausoleil, I wanted a rig that was easy to tie and suitable for estate-type lakes with big carp and catfish. 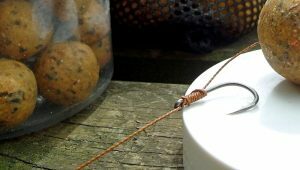 It’s a double bottom bait rig simply tied with a knotless knot and a 2-turn kicker to 10in braid which is connected to an inline lead pushed over a tapered sleeve to create a semi fixed that converts to a running rig on the take. 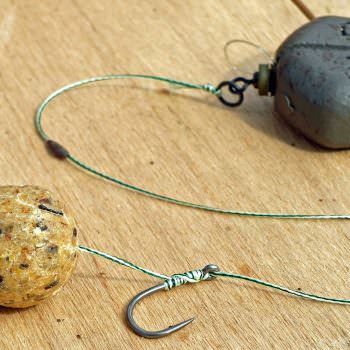 This set up prevents the carp from using the weight of the lead to swing out the rig. It also provides optimal bite indication no matter which way the fish swims. I use it all the time now and many visitors have converted to it as well very successfully. That’s it! 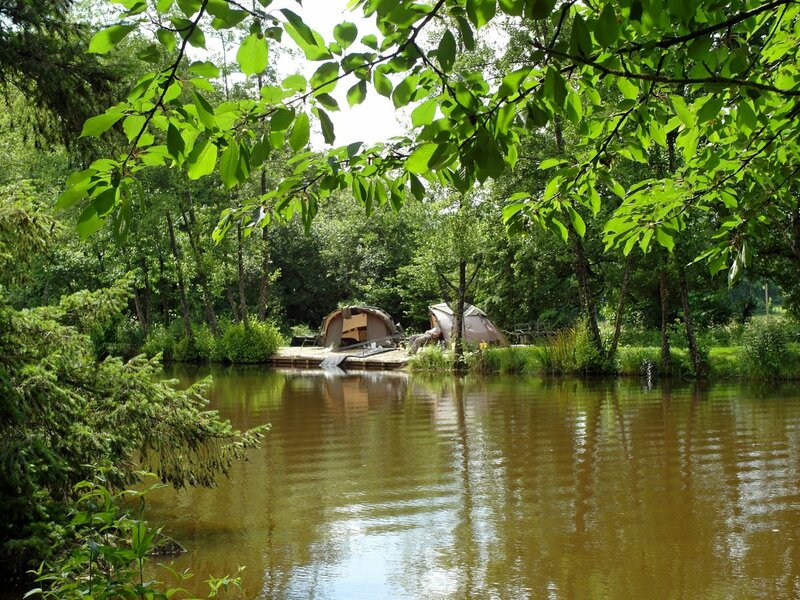 I have used this approach myself successfully (see earlier post: How to target carp only at a Carp and Catfish venue) and I hope that’s given you food for thought and wish you all the best for your next visit to a carp and cats venue.